Ocean Meridional Overturning Circulation of the ocean, MOC (see schematic), is driven by surface buoyancy fluxes and winds, plus tides and the geothermal heat flux; polar dynamics play key roles. We study the drivers of the MOC as well as it’s role in the global distribution of tracers. CFC is shown here as an example [see Mashayek et al. 15,17, Ferrari & Mashayek et el. 16, Cimoli et al. 19]. Ocean bathymetry dictates the patterns of the geothermal flux as well as boundary turbulence (see figure). Thus, it imposes a strict control over the present day MOC, thereby over the climate system. Earth’s interior dynamics, thus, modulate the climate system on time scales relevant to continental drift. Ongoing work is focused on comparing the present day MOC to that during glacial periods and all the way back through the Cenozoic Era. Southern Ocean dynamics play a key role in upwelling of deep waters of North Atlantic origin, as well as formation of Antarctic Bottom Waters, hence facilitating upper and lower branches of the MOC. We study turbulence in the Southern Ocean, their control over MOC, and coupling of ocean, atmosphere and cryosphere. 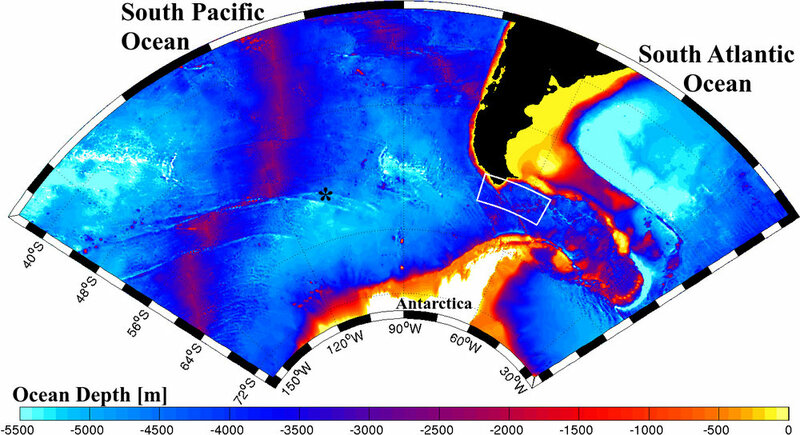 Interhemispheric exchange of heat and tracers, and Southern Ocean uptake or release of tracers (such as Carbon) or of particular interest [see Mashayek et al. 15, 17]. Turbulence in the deep and abyssal ocean plays a key role in upwelling of abyssal waters which have different carbon, nutrient and oxygen content to the upper ocean. In addition to DIMES (see previous section), we are currently involved with studying the abyssal dynamics in the Samoan Passage and the Palau archipelago in the western Pacific.